Deborah Weaver enjoys the oasis she’s created in her central Florida backyard. Not only is it beautiful, she’s chosen the right plants for the right places so that they need little to no supplemental watering. 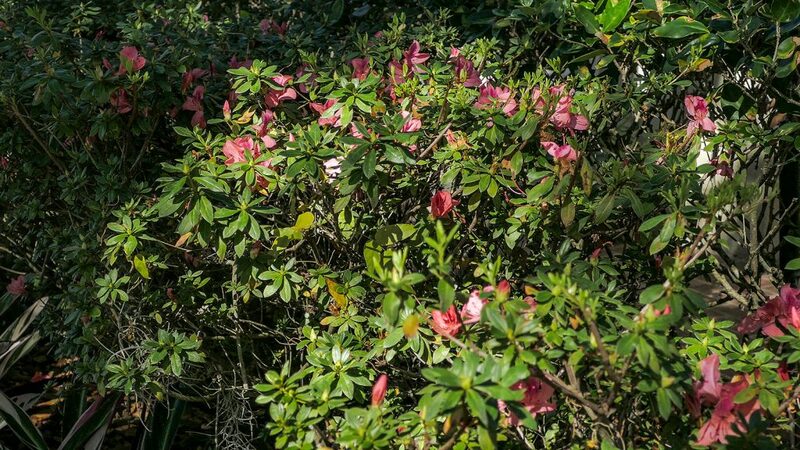 It may be diminutive in size, but Deborah Weaver’s backyard is a private oasis of sun-dappled groundcover, broad-leafed potted plants and clusters of bromeliads. A towering oak presides over the setting, creating a sense of being in a cozy terrarium. Weaver lives in a Winter Springs gated community, typical of the zero-lot-line developments unfolding across Florida’s landscape. But Weaver’s little piece of heaven stands out as a testimony to the aesthetic and financial benefits of practicing water conservation. 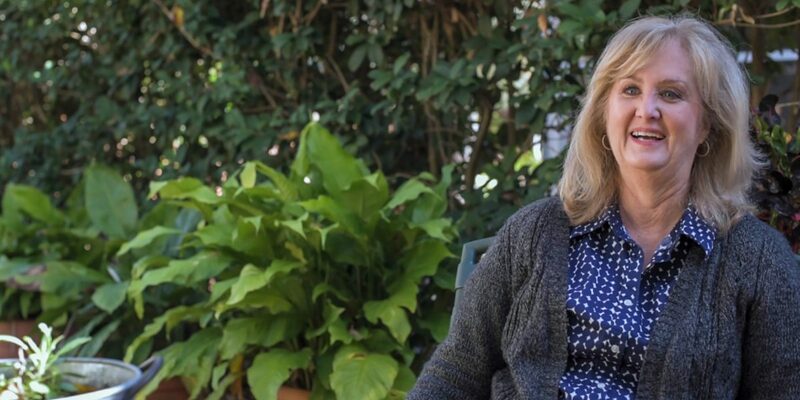 Like many Floridians, Weaver gave nary a thought to her water use until she enrolled in the Florida Master Gardener Program. The 16-week course was an eye opener for Weaver, who had always harbored a love of gardening. As the weeks progressed, she began tracking her home water use and the resulting monthly water bill. She realized she was overwatering her lawn and inadvertently wasting Florida’s most precious resource. 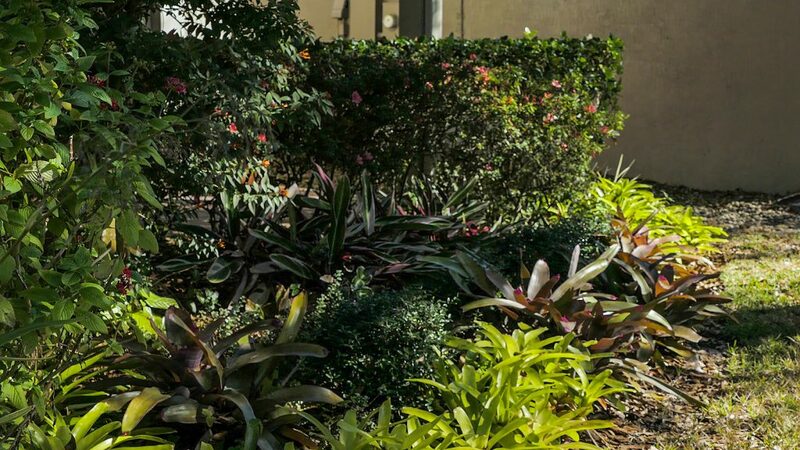 Weaver’s philosophy on landscaping mirrors the ethos of the St. Johns River Water Management District, whose dedicated staff is committed to water conservation and has been for many years. Every day, district scientists, engineers and communications experts are protecting and ensuring the sustainability of Florida’s water resources, both belowground in the Floridan aquifer system and aboveground in our many waterways. As a regulatory agency, the district requires all permit holders to use water as efficiently as possible. For example, water supply utilities are required to implement conservation rate structures, perform water audits to ensure system efficiency and develop programs for the use of reclaimed water. Permitting requirements for water conservation also ensure industry, agriculture and recreational users, such as golf courses, are combining efficient uses of water with best management practices. The district also offers cost-share funding to local governments and agricultural interests seeking to reduce the volume of water used in their operations and for their customers. Perhaps the most challenging aspect of water conservation is the art of raising the public’s awareness about the need to conserve this limited resource. Not everyone has the time nor inclination to learn how to change their water use habits in the manner of Deborah Weaver. Additionally, there is a general misunderstanding about the volume of water used in a household and particularly the volume used to irrigate the landscape. Colorful blooms in spring and splashes of color accent the variety of plants that create the water-saving oasis at this central Florida home. Nearly 900 people move to the Sunshine State every day. Annually, that’s more than 300,000 water users who are likely unfamiliar with the district’s water conservation rules or the demand on Florida’s groundwater supplies. This scenario necessitates the state’s water management districts to tirelessly promote water conservation year-round through watering restrictions, permitting programs, and through outreach/education initiatives such as magazine articles, social media, participation at water festivals and public speaking engagements. The district also sponsors seasonal campaigns, for example “Skip a Week,” which urges homeowners to skip every other week of irrigation during the winter months when lawns are dormant. Online, the district offers information on waterwise landscaping and tips for saving water inside and outside the home. Water conservation is commonly considered the cheapest way to delay the need for a utility to invest in costly alternative sources. Deirdre Irwin is the district’s water conservation coordinator. When she’s not facilitating water conservation meetings with utility directors and local government officials, she’s out talking to homeowners, meeting with the public and landscape professionals or assisting the district with its public awareness campaigns and water supply planning efforts. She understands the value of volunteer organizations dedicated to protecting Florida’s water resources and their contribution to the overall mission of conservation behavior change. A prime example is the Volusia Alliance in Volusia County, which uses outreach and education to reach thousands of Floridians, many of them new arrivals who know nothing about the impacts of growth on the state’s remarkable springsheds. The Alliance, in partnership with the city of DeLand and other organizations, hosts an annual water festival in the spring and a fall water symposium in the historic town of DeLand. Alliance member Sharon Leboffe says the festival drew 2,000 attendees in 2018 and more than 200 attended the last symposium, which included speakers from the district. Soon, Leboffe was visiting every spring in the region whenever her grandson came to visit. Leboffe, a member of the Museum of Art in DeLand, joined the Blue Spring Alliance and soon found herself working with enthusiastic people from both organizations to form the Volusia Water Alliance. The Water Alliance merged art and water conservation stakeholder groups committed to bring awareness through education by producing a yearly educational symposium and water festival. Attendance has doubled each year since its inception in 2016.